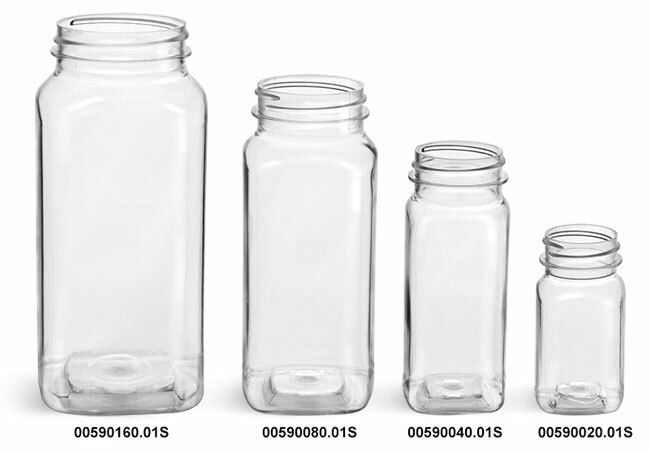 These clear PET plastic square bottles come with red or black polypro spice caps. The spice caps feature PS113 liners printed with the words "Sealed for Freshness" to offer added protection for your product. 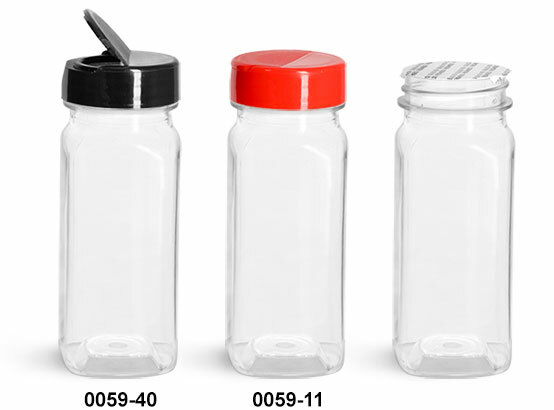 These square plastic bottles with spice caps could be perfect for packaging and dispensing any herbs or spices.